Animals leave tracks everywhere they go. It takes a keen eye to notice them and a little knowledge to know what they are. 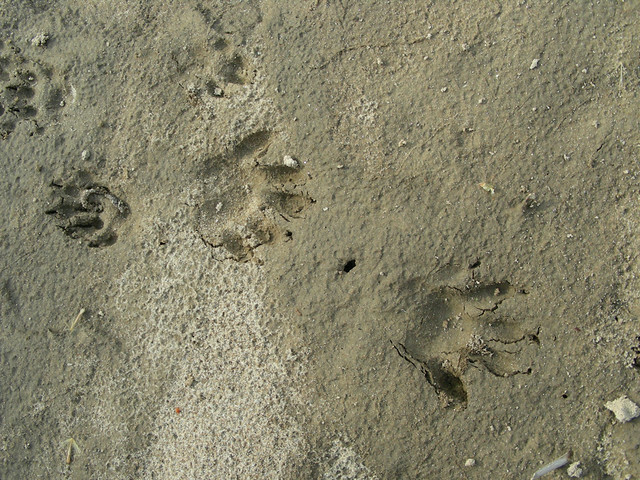 Visit Parma Woods as we will take a closer look at animal tracks and the animals that leave their footprints in Missouri. We will make some tracks of our own then go find some animal tracks, so dress for the weather. Sunday, February 3, 9:00 a.m. – noon. Registration Required — All Ages — Call 816-891-9941. Tuesday, July 10, 6:30 p.m.
New Troop Being Formed — Parkville, Missouri! Great news! We have confirmed there is a Troop in the process of filing their official launch paperwork in Parkville, Missouri. They’re hoping to hold an informational meeting for parents in August, with an eye to holding a first Troop meeting in September, but I know they would love to hear from you NOW! Contact Dianna Marroquin, Troop Coordinator, for more information!